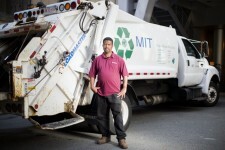 Raul Ortiz is a custodian in MIT's Department of Facilities. He is seen here on MIT's campus, where he has worked for 16 years. 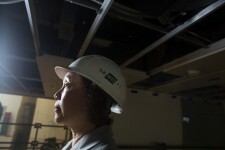 Varin Ang is a Senior Project Manager in MIT's Department of Facilities. She has worked at MIT for 8 years. She is currently overseeing a project in this building, MIT Building 46, installing a sculpture above a lobby and staircase. Ang is a licensed architect, but since coming to MIT has focused more on project management. 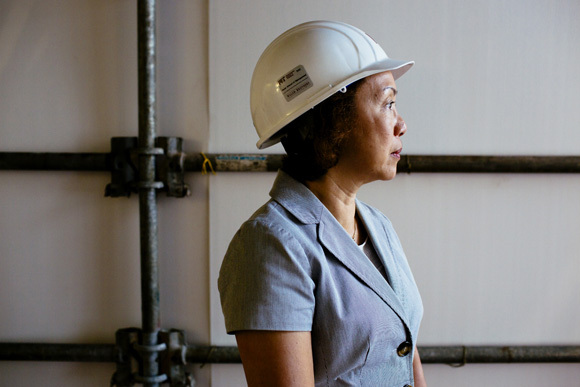 Denise Guillette is a Construction Safety Engineer with MIT's Campus Engineering and Construction. She is seen on the scaffolding surrounding facade work on MIT's Building W31, the Du Pont Athletic Gym. 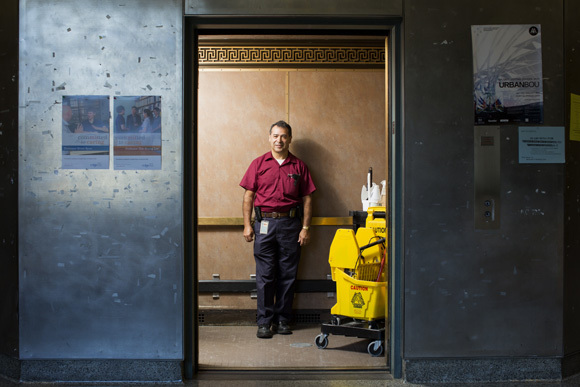 Juan Hernandez is a third shift supervisor in MIT's Department of Facilities' Custodial Services. 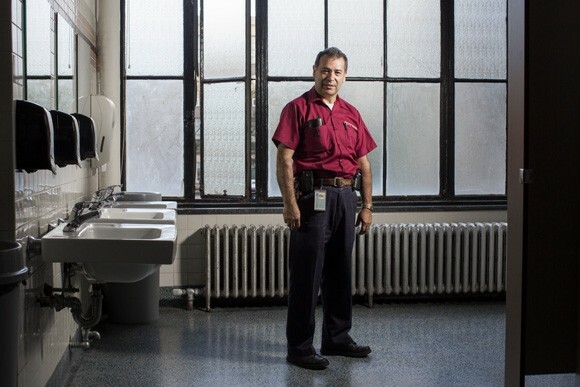 He is seen in the Custodial Services office in Building 10 on MIT's Campus, where he has worked for a little more than a year. Sogna Scott is an Administrative Assistant II in MIT's Department of Facilities, where she helps oversee the departments 30 employees. 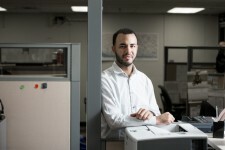 Sogna is seen here on MIT's campus in Department of Facilities equipment storage areas. 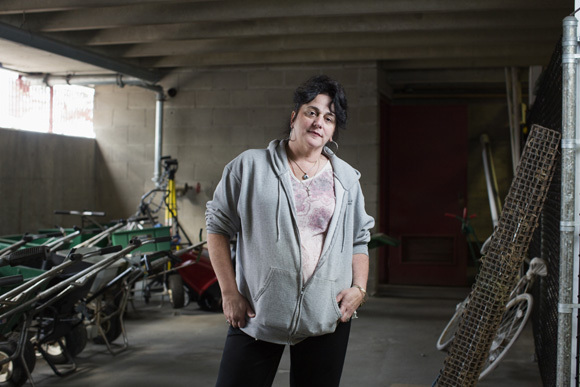 Sharon Clute is a Locksmith in MIT's Maintenance and Utilities. 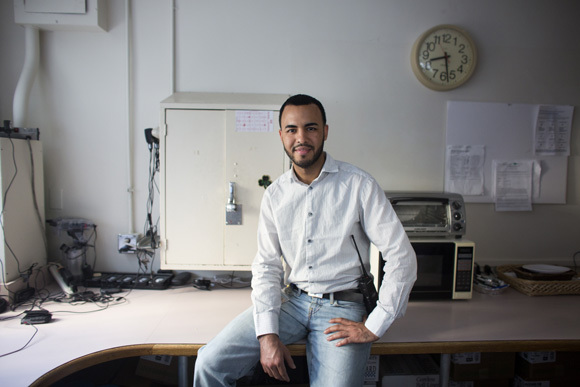 Clute is seen here on MIT's campus the lock shop in Building E19. 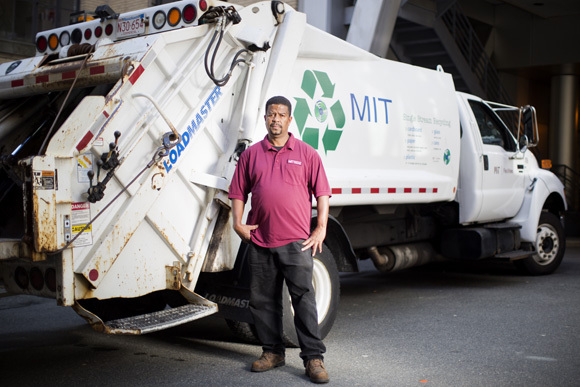 Albert Gray is a mover in MIT's Department of Facilities specializing in recycling. Gray is seen here on MIT's campus near a loading dock between Buildings 7 and 11. A few weeks back, I had a seven-part portrait series for MIT’s News Office highlighting workers around campus. 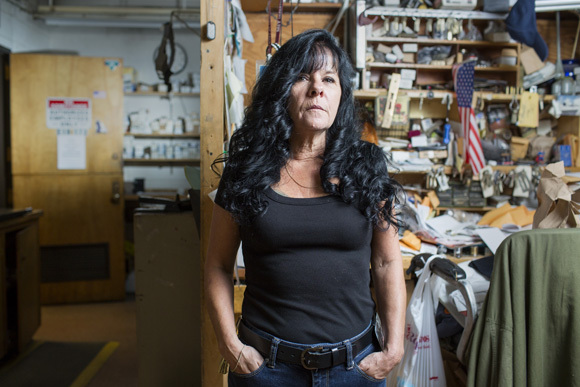 The creative director identified a number of subjects for the piece and then brainstormed locations that would highlight both the subjects’ personalities and their jobs. 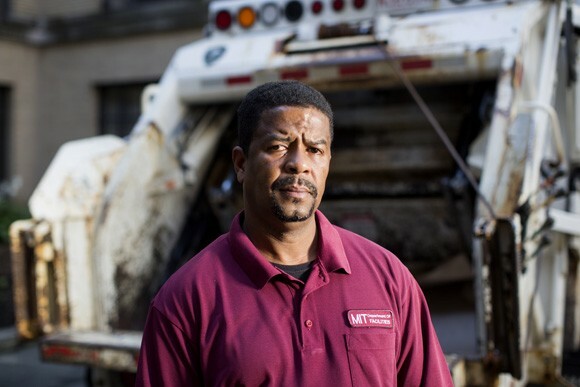 Seven images ran as the homepage of MIT.edu over Labor Day weekend. You can see how one of the images looked in MIT’s front page archive.